Cory’s First Blog Post! Check out his blog right here to see more of the content he posts weekly on his blog! Also, Mr. Boss is what he refers to me, DamonDaBoss, as. Now, without further ado, here’s his post about Clash Royale. Don’t you just love Clash Royale? Me too! (Nah I’m kidding, I don’t even play this game anymore but I’ll write about it because I have nothing else to write about and since Mr. Boss’ blog is about Clash Royale, I’ll write about Clash Royale. (He’s totally messing with all of you, he actually likes the game deep down! – DamonDaBoss). I started to play Clash Royale I believe March last year. I remember playing on my friend’s account. His name was “moistytoes.” Yep, I know, weird name. He got it when it was first released and I remember playing with the OP prince on his account and I just spammed everything down and hoped to destroy my opponents. When I got the game, I remember my first epic as being a baby dragon. Fast forward to summer, I stopped playing a game, only battling like twice a week or so and I was beginning to get seriously bored of the game. A few months later during Halloween, I finally found my first legendary from the legendary chest I found from battling,(because everyone was finding legendaries so I decided to battle) and I got the graveyard. Pretty spooky right? A graveyard unboxed on Halloween. A few weeks later I bought a legendary chest and got the miner. So these legendaries got me back into Clash Royale, for like a week or two anyway, and then I just stopped playing altogether, occasionally coming on the collect my free chests and request cards. One day just two weeks ago, I nonchalantly opened up the game and sped through my free chests, and I got my first legitimate legendary; the log. I celebrated for a good fifteen seconds then was back to my calm state since I don’t even play this game anymore. This was my first legitimate legendary since the first one I got from a guaranteed legendary from the legendary chest and the second one I bought, which was also guaranteed a legendary. So today I only get on when there is a clan battle event going on. I am currently level 10 with 2869 trophies, which I’ve had since July. I don’t have pictures of the unboxing of the graveyard and the miner because they disappeared into the abyss. Below are pictures of my current deck, which I use for clan battles, and the opening of the log. Hello everyone, and welcome to NiceGamingAdvice! For all you old timers, and veterans to this blog, I welcome you back! And, for all you new people, here to check out my blog for the first time, It’s nice to meet you! Also, everyone who’s a US citizen here, or anyone watching the Big game, I hope you enjoy the Super Bowl! This blog post will be about the deck I used in order to get to 4,196 trophies, how I use it, and some other exciting things that have happened to me while playing mobile games! It’s been quite some time since I last talked about how I was doing in the game, since I’ve been mainly talking about new cards and strategies in the game. Well, first things first, I’ve done so much that I can’t describe it all in this mere post, so I’ve just decided to do a slideshow on some things that have happened to me recently on my Clash Royale account. Disclaimer: I didn’t purchase all those gems and money offers from my own wallet, or from anyone else I know. But, I won some YouTuber, from another country (I believe Norway or Sweden)’s 10,000 gem tournament, and along with the prized chest (which I was unable to screenshot since my photo space was full) I was given a $50.00 I tunes card because of some giveaway he had going on his YouTube channel. I then used this to purchase the winter, jungle, and fortune pack offers, and this gave me all the gems I currently have. I also never spend my gems expect on certain card bundles, when the card comes out, or on some challenges, so I always have a ton of gems. This was one of the happiest moments in my Clash history, since I’ve never won so much money, or any money for that matter, for free. Here are some of the screenshots I took on my recent Clash Activity. I will be posting more in a future post. Lava Hound (level 2, 7 elixir)- The tank of the deck, used for soaking up damage, getting damage with the pups, drawing out arrows, zap, or poison, or even to distract the now overpowered executioner, this card can do some many things for what it’s worth! Lightning (level 5, 6 elixir)- Great for doing the finishing blow on a tower, but mostly for good tower damage, along with taking out troops such as the mega minion, musketeer, ice wizard, wizard, princess, and anything similar. Ice Wizard (level 2, 3 elixir)- Great of defense, not the best on offense. I use the ice wizard to slow down tanks, slowly kill off troops like the witch or mega minion, protect against the minion horde, skeleton army, goblins, etc. or even to soak up damage as a “mini tank” for a goblin barrel strike. The Log (level 2, 2 elixir)- Again, a great defensive card. It pushes back troops, can do the finishing blow to a rival troop, or can kill goblin barrels, spear goblins, skeleton armies, ice spirits, or fire spirits, completely! Fire Spirits (level 11, 2 elixir)- Insane power for what they’re worth, the fire spirits have some of the best splash damage in the game! They, like the log, can make the final blow on enemy troops or towers, can completely shut down low health units, even archers, severely damage troops like the witch, mega minion, or musketeer, and they can also take out minions and minion horde easily, or even barbarians (if a matching level) without taking tower damage. Mega Minion (level 8, 3 elixir)- Powerful hitter with low health, keep it protected behind the Lava Hound, or even an ice wizard, and it will reward you greatly. It can be used to shut down some of the highest hitpoint enemies, and if paired with the ice wizard, can shut down a giant or lava hound, with a powerful counter push ready. Goblin Barrel (level 5, 3 elixir)- Used to draw out zap, arrows, fireball, or anything the enemy can throw at it! The goblin barrel is a great distraction card, and can be vital in many situations while using my deck. I also do tricky goblin barrel placements to draw out a zap or log, and have the enemy miss, so that they have to fight harder to shut down the three goblins. Skeleton Army (level 4, 3 elixir)- Great against tank cards or squishy ground unit cards, it can be used for many reasons. The skeleton army is also a zap bait, log bait, arrow bait, etc. card that can be used to stop even the most powerful of pushes. Make sure to use this card after the goblin barrel is zapped or logged (and you already know that their defense against the skeleton army is gone) or vice versa. It’s crazy that I’m so far in legendary arena with only a total of 864 WINS! This fact shows that my win-lose ratio is way better than most of the people I battle. As a side fact, most of the people I battle now are level 11s with much better leveled troops that I have, but I still win because of skill and determination. I hope this little update on my first Clash Royale account helps you out on learning about a good deck to take you to Legendary Arena, since I’ve used this deck since the start of Frozen Peaks and it never disappoints! I also have a level 6 account in Royal Arena, arena 7, and I will talk about how a low level 6 got that far in the game already, with only 104 wins in my clan’s feeder clan: LDS1stDimension. As always, I hope this information helped all of you, and I do hope you stick around to get more advice, fun gameplay, random posts, and more! Have a good day, and Clash On! The [New] Executioner: Good or Bad? Pictures will be everywhere in this post, so don’t forget to comment, re-blog, and share this post if you like the look of it! Hello everyone, I’m damondaboss, and welcome to NiceGamingAdvice. I’m sorry that it’s been an entire TWO WEEKS since I last posted, but don’t worry, this post will hopefully fill up the gap that was made with tons of content and advice! Today’s post will be on, as you probably guessed, Clash Royale. But to be more specific, it’s on the newest card added to the game, the Executioner! Now, let’s get right into the post/advice that I have prepared with days of using this new card, and seeing what it can do. 1. I never realized the potential of the Executioner card until I first used it. It was an entirely unfamiliar card to me, yet it was so similar to other cards I’ve used before (and I’ve used every card in the game, so I guess it can relate to a handful of them). It’s unique in it’s own way, and here’s what I first found out about the new Executioner card on my first time using it. It can stun (unlike a zap)/ distract enemies from targeting certain troops. It uses it’s axe as a boomerang (As shown on the side), which gives it a safe area around it, used to protect against swarm troops. It can also better protect “tanky” cards such as the Giant, Golem, or Lava Hound. If you want to learn more about how the card interacts with enemy units, check out Orange Juice Gaming’s Executioner Game play video on YouTube. It can counter once annoying cards to deal with, such as the legendary graveyard and lava hound. As shown in the official Clash Royale’s YouTube short on The Executioner. Clash Royale YouTube Video. It also has a fast return + throw speed of its axe, which keeps it from being attacked by swarm troops in the approximate 2 seconds that the axe is in the air. The Executioner has a slight protective radius as the axe returns to it’s hand, which makes it hard to deal with. As shown in Orange Juice Gaming’s YouTube video on how to use the Executioner. Lastly, it has one of the greatest area damages, with character cards, in the game, making it a viable option to use in almost any deck. Picture of splash effect shown to the right). demonstrates this as he uses the card against other players. That’s it for today’s epic blog post! I hope you enjoyed it, and if you did, please spread the word about NiceGamingAdvice, which would help me make more content faster, and more efficiently. As always, have a nice day, and Clash On! The New Jungle Arena in Clash Royale! Also, introducing the Dart Goblin, Battering Ram, Executioner, and the Goblin Gang! Welcome to NiceGamingAdvice, where you can find quality content about mobile games, and more specifically for today, Clash Royale. For those of you who are new, welcome, and for those of you who are NGA Veterans, thanks for all the support! Today’s post will be on a major update in Clash Royale, which was truly unexpected to all of its players. The update was simply, a new arena, and four new cards. The new cards are as listed, three of them (the Goblin Gang, Dart Goblin, and The Executioner) are in the new arena, coming in the next upcoming weeks, and one of them is an addition to the Builder’s Workshop arena, the new Battering Ram card. Dart Goblin (released on the day of the jungle arena’s release) – Health of an archer, speed (and hit speed) of a lumberjack, and green like a goblin. Sounds weird? That’s because it is. Goblin Gang – 3 “stab” goblins, 3 spear goblins, and a whole lot of trouble. Enough said. Battering Ram – Have you ever wondered what would happen if someone removed the spikes off the log, and then gave the wood to a pair of barbarians? The brutes would probably just charge a tower with the log. Wait, that’s actually what the Battering Ram does! Fast and dangerous at 2x speed (similar to a prince’s charge) the Battering Ram will prove to be versatile in many a battle. Like seriously, that’s actually a real thing. Like 100% legit. What in the world was Supercell thinking? The arena itself also has many cool attributes. These too will be listed, and pictures for all the images will be provided down below. At double elixir time it has lighting flash, and rain fall down. New animations bring the arena to life! For more information on this new arena, and the new cards to be released, take a look at Supercell’s page on this update, which will be below the images. Thanks for visiting my blog! Stay tuned for more Clash Royale content! And if you’re interested in other mobile games, leave your comments down below, as it helps shape the future of this blog! (More posts from other games will be on their way shortly) As always, follow, re-blog, and like this blog to keep it running! I love the support and can’t wait until next time! Until then, Clash On! Clash Royale: The “Newest” Cards- Tornado, Elite Barbarians, and the Clone Spell. Also, finally there’s the Electro Wizard, coming in the near future. Hello everyone, and welcome to NiceGamingAdvice! Today I will be briefly going over the newest cards to Clash Royale: the clone spell, elite barbarians, electro wizard, and tornado. Below are images of the cards, and their statistics at level one (going with their card rarity), besides the electro wizard. Now, to some of the more prominent card uses! Clone Spell: This card is amazing, and can be used for many reasons. One can clone skip with it, which is basically moving your troop, that isn’t cloned, away from something it could be distracted by, for example, a giant skeleton moving away from a protective cannon. 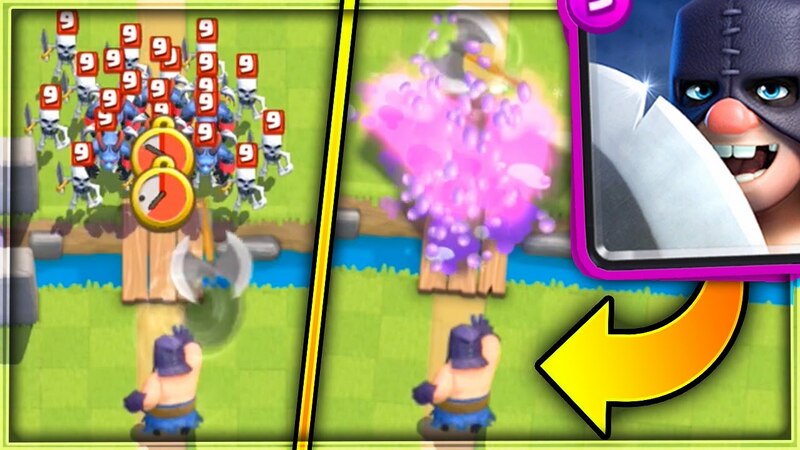 The clone spell always moves the pre-cloned troop to the right, which is good to know for “clone skipping.” This card is also great with the use of lava hounds (for the pups), giant skeletons (for the highly powerful bomb), witches (for the spawned skeletons), and for balloons (again for the bomb, but also the huge tower damage). These are some of the very common uses of the clone spell in this very meta. Btw, if you don’t know what the term “meta” is, check out what it means, and learn more about these cards, at YouTube on Channels such as Orange Juice Gaming, or Nickatnyte (both of their channels will be in the bottom of the post). Elite Barbarians: This cards are pretty straightforward, they’re like upgraded barbarians. Now, again thanks to the new update coming, they will truly be elite, as they can take down tanks, run to that tower faster with more damage per second (dps), and be a total pain to archer decks, as they will now kill archers in a single hit! Get ready to see these cards used more often, and try to find counters for them, such as air troops, that can stop their charge towards your towers! Tornado Spell: This card has been looked at as kind of a joke, a card to use only to draw out your king tower, for some time. But thanks to the new “buff” or upgrade to it, in the close update, this card will be great for the purposes it was made for. It will be a good troop gatherer, by dragging all the enemy troops into on space (where you can zap, fireball, lightning, or use about any spell you can think of). It will also be a good troop staller, for those epic last minute wins. Lastly, this card will be used to bring troops together for splash units especially, where the enemy troops can easily be defeated (as the wizard and bomber, both splash unit cards, are being buffed in the nearest update). Electro Wizard: This card isn’t actually out yet, but based off the information about it, I can give you a pretty good idea on how to use it. This card is great for “zapping” minions, skeletons, goblins, and many other cheap troops, especially with the damage dealt with its spawn. Coupled with the zap spell, this card could easily take out minions, and minion hordes, similarly to the ice wizard’s last hit on the already damaged troops (from the zap). The electro wizard has many possibilities! Who knows? This card might be a great replacement for fireball, arrows, or even the ice wizard! I know today’s post was mainly advice, and besides that, a little short, but don’t worry! Making the post shorter has given me more time to make more posts in a smaller amount of time, so get ready for at least one more post before winter break! As always, follow, like, and comment to this blog for future content! Stay tuned for more posts about new cards, and how to use them! And remember, Clash On! PS: Now there’s more to come with a new leak about a Jungle Arena, which will come to Clash Royale in 22 days (since I am writing this excerpt on 12/22/16), and now their are also four new cards, three of which will be added to this new arena! Welcome to NiceGamingAdvice! 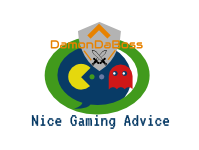 I’m damondaboss, and YOU are what keeps this blog running! I’m glad you came by today, old or new, it doesn’t matter, just remember to check out my other posts before you go! Today’s post is about the King’s Cup Event that recently passed in Clash Royale, even the Double Elixir Challenge passed, so I’m a little behind on talking about it! But, here goes nothing, because I’m going to briefly explain what the decks in the challenge were, and how to use them. I also want you to know that these strategies may come in handy later, as an event that’s similar to this might come around. Pictures of the event, and some of my battle successes. 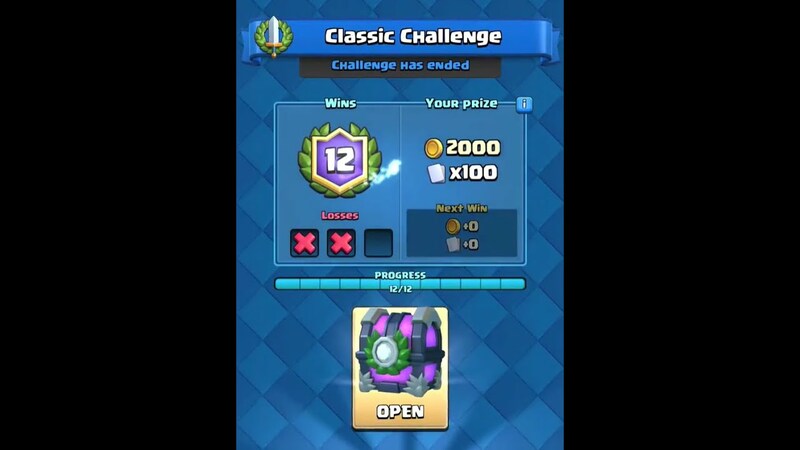 By the way, I didn’t take a picture of it, but I was able to pull off 10 wins in the challenge on my last try before it ended. In the King’s Cup, there was a good variety of decks the player was given, but I only took photos of the ones I could (which are most, or all, of them anyway). This post will simply be me telling how to best use each of the decks, the four, that I took photos of. Personally, I really enjoyed having fresh decks every round, and I think the King’s Cup was a great way for Clash Royale players to branch out from their comfort zones and use cards they wouldn’t normally use. Dark Lightning – The best way, I found, to use this deck was to swarm the enemy with cheap troops, and then placing the lumberjack and dark prince in front of these troops to act as tanks to the powerful, but weak, troops behind them. The Frozen Hog – The entire purpose of the deck was to slow down the enemy so that the hog rider could get some hits off the tower, the poison and ice wizard were great used with the hog rider, and the ice spell was the best card to use against the tower (and troops on top, or near, it) in order for the hog rider to get serious damage on the crown or King’s towers. The Raging Balloon (Favorite by far!) – This deck is simple, distract the enemy with the witch and Valkyrie, and use the archers, ice spirit, and rage spell with the balloon, which can easily take a tower in 10 seconds. The balloon while raged, was practically unstoppable when it reached the tower. X-Bowler – The trick to this deck is to put the X-Bow behind the big and tanky bowler, and to support the bow from behind with the princess to deal with aerial attacks. And that’s really it for this blog post, tell me how you felt about it either from comments, twitter, Instagram, Facebook, or email. As always, have a good day and, Clash On! Clash Royale: Spending Some Cash on my favorite app! What will I get from the King’s Cup chest and gem offers? Hello everyone, and welcome to NiceGamingAdvice! Here you will find quality posts about mobile games, and my experiences with them. This is DamonDaBoss with another money spending post. Today’s post will be on Clash Royale, and the brand new King’s Cup event! (It will have already been over when I post this). This post will just be showing you what I got from three special chest offers in the King’s Cup. Besides that, this post will be short and sweet. Below are pictures of the offers, and what I got out of the chests. Make sure to take a look at my money and gems after the spending as well. Thanks for visiting my blog, come back and like, comment, and follow the blog for further posts and information. Have a nice day and, Clash On!